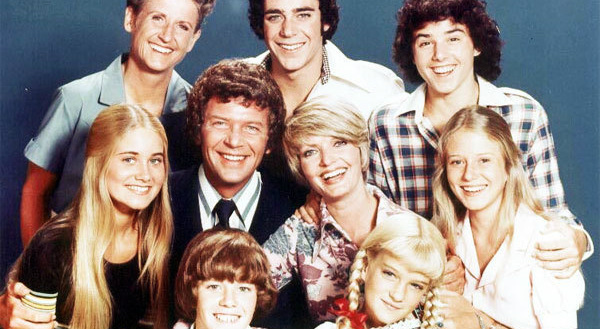 Growing up with a lack of real cable television, "The Brady Bunch" was a very prevalent show in my home and one I never understood why my friends did not watch. Every evening the Brady clan would come into my home via TV Land, and I would question everything from their hair and clothes, to what the heck groovy meant. One of the more iconic episodes featuring this bunch is the episode where the lovely Marcia gets hit in the face with a football and breaks her nose. Suddenly her world as she knows it seems end. Marcia, the eldest bubbly blonde of the family is known to have a lot of pride regarding her appearance throughout the entire series. Brushing her hair hundreds of times a day, and the world ending tragedy of getting braces are both traumatic incidents in her life relating to her self image. But when this horrific incident occurs, threatening her beauty a/nd her self image also takes a hit. One important aspect of this episode involves Theory of Self. The first part of this theory involves self concept or self image. This is who we think we are and how we view our self. As stated in Close Encounters, "People with high self-esteem generally view their traits and behaviors in a positive light, while people with low self-esteem mostly see their traits as negative" (1). In this instance Marcia does not view herself the same way she did prior to taking a football to the face, her self concept has changed drastically. The second part of this theory involves self esteem, which is directly related to self image and how a person feels about that image. Before Marcia was hit with the football she had high self esteem, viewing her traits as positive. But after her self image changed and she started viewing her traits as negative, her self esteem changed to low self esteem. This can also be looked at using Cooley's Looking Glass Self. This theory says that, "the way people treat us is reflected in the way we see ourselves" (2). When hunky Doug cannot make their date because something "suddenly came up" right after her nose suddenly looked like a giant grape Marcia's self image takes a hit. Doug breaking this date is the feedback she is receiving after this incident, thus Marcia is defining her self image from this feedback. Using the Theory of Self as talked about above, Marcia's self esteem was already low then receiving this feedback from Doug, her self image continued to be more and more negative due to this feedback. Prior to this incident Marcia was receiving feedback that was positive, getting asked out by dreamy Doug is an example of this. But the feedback quickly shift, and her self image is quick to follow. Luckily when you grow up as a member of the Brady clan, finding those to raise your spirits is not hard and a broken nose can only last until the end of the episode.